February 18, 2015. 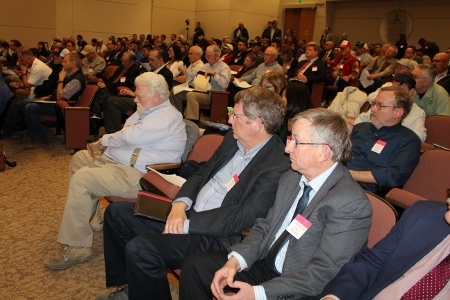 The State Water Board held a workshop on February 18, 2015 to hear comments on its February 3 Order that relaxed Delta flow and water quality standards in the Delta. The Department of Water Resources, Bureau of Reclamation, and various other water agencies argued for increasing Delta exports even during times of low Delta inflow and outflow. In opposition, CSPA made three presentations. Tom Cannon discussed impacts of weakened standards on salmon and smelt in the Delta. Chris Shutes discussed unreasonable effects on fish and wildlife in the Sacramento River and the importance of making water transfers comply with Delta standards. Bill Jennings summed up by recounting the decline of fisheries over the past thirty years and the results of failure by the Board to enforce standards in dry years, when those standards are already too weak. Comparing the operators of the state and federal projects to Goldman Sachs (sellers of unbacked securities), Jennings called on the Board to hold a hearing on Delta standards during drought and to create a legacy of protecting the public trust.